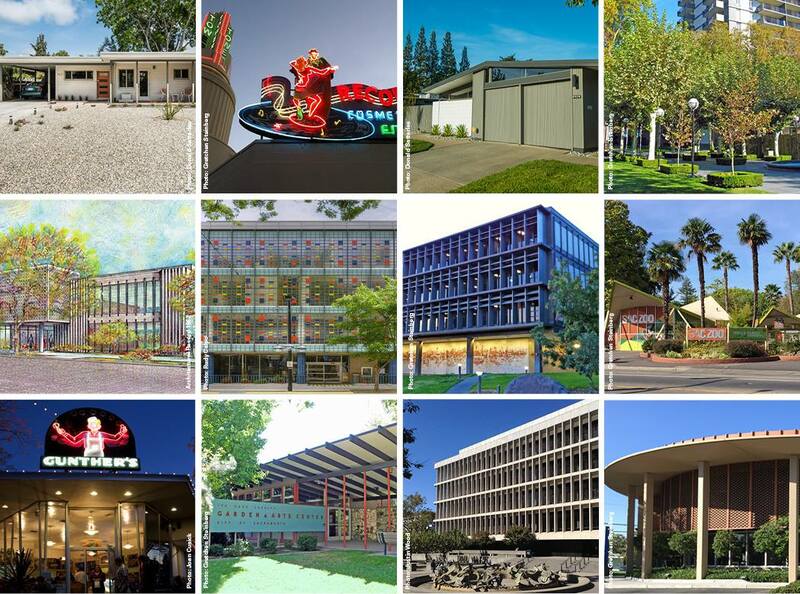 This document identifies and defines the different key features, characteristics, and types of Mid-Century Modern places built within Sacramento city limits and highlights outstanding examples in an effort to promote understanding. This study also serves to educate and inform future evaluations and identification of additional historic resources. Sacramento experienced a period of unprecedented growth and expansion between 1940 and 1970. During this time, much of Sacramento’s unique and distinctive character was forged. While this chapter of Sacramento’s development may still seem recent to some, it represents a significant, distinct, and well-defined area of architecture and design. plus a dedicated group of volunteers. SacMod would like to acknowledge and express our sincere thanks to everyone who contributed to this effort, including our tour homeowners, attendees, and volunteers, who helped make this happen.